If you love making the tiny appear immense, then the best digital SLR for closeups is for you. Talking about cameras here is a bit misleading since capturing great closeups has more to do with the lens than with the camera. 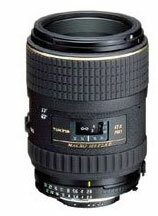 To take great closeups with your digital SLR, you're going to need a special closeup lens, also called a macro lens. Macro lenses are specialty lenses, and they are not as abundant as other standard lenses. Let's take a closer look at how these two issues impact your camera options. 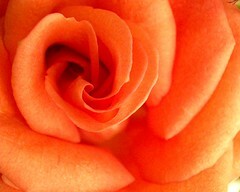 Macro lenses allow you to get extremely close to your subject and still maintain accurate focus. With a non-macro lens, if you move the lens too close to the subject, the camera won't focus at all. Macro lenses are designed to make the miniscule appear larger than life: they are often used to capture small subjects like insects, lizards, stamps and coins. But macro lenses can also be used for portraits, since they give you a lot of freedom about how to frame your subject's face without being limited by focusing distance. The bulk of the lenses that exist today are zooms - most snapshot photographers want a simple lens that they can use for a wide range of photographic opportunities. Macro lenses are not zooms - they have a fixed focal length, and are also called prime lenses. Their special ability to focus close to the subject makes them even more rare: prime lenses are already in the minority and macros are only a small subset of the available primes. Therefore, the best digital SLR for closeups must be compatible with a HUGE number of lenses. On other "best digital SLR" pages I've only provided you with one camera to investigate further, but on this page I'll give you two. You'll note that one camera is made by Canon and the other is a Nikon. This is because of the macro lens compatibility issue I identified above. While other manufacturers like Olympus, Pentax and Sony do make a few macro lenses, there are more macro options for Canon and Nikon cameras. My Canon pick for the best digital SLR for closeups is the EOS Rebel T1i (500D). While you can certainly use just about any Canon digital SLR to take macro shots, the T1i is the only affordable model that also includes video capture. If you have zero desire to become a macro videographer, then take a look at the EOS Rebel XSi, since it costs less and shares many features with the T1i. The Nikon camera that I've selected is the Nikon D5000. The reason why I've selected the D5000 as a great closeup camera is because of its flip and twist (articulated) LCD screen. The articulated LCD makes it much easier to take pictures from odd angles. Since the subjects of a lot of macro photos are very small objects (plants and bugs), it's nice to have a flexible LCD - if the ground is wet or muddy, you don't have to kneel down to get a great macro shot. The prices that I list below for each camera are for the camera without a lens. If you're really into closeup photography, then you should buy the camera body only, because the kit lenses won't work as well as the macro lenses for closeup work.